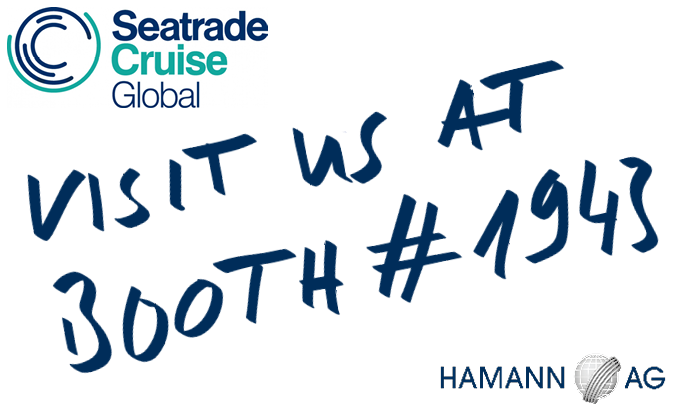 From April 8-11, 2019 the cruise industry meets again at the Miami Beach Convention Center in Miami Beach, FL USA for Seatrade Cruise Global. We are on site at booth #1943 together with our partners FilWaTec Inc and M.A.C.E. Inc. Our team will be happy to show you the HAMANN portfolio for cruise ships ranging from single plant refit solutions to turn-key solutions for new build projects. Furthermore, our sales agents and service partners MSHS Motor Services Hugo Stamp are exhibiting as well at booth #1969 .We and our partners are looking forward to your visit! 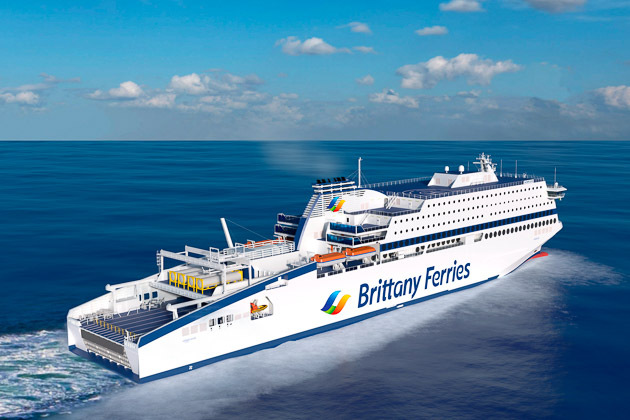 Brittany Ferries relies on HAMANN technology for sewage treatment on board their new LNG-powered “HONFLEUR”, currently nearing completion at Flensburger Schiffbaugesellschaft. Two HL-CONT Plus 40 sewage treatment plants provide a total treatment capacity of 8.000 litres per hour on board the 42.400 gt vessel that can carry 1,680 passengers and has a vehicle capacity of 2.600 lane meters. To find out more about the new “HONFLEUR” head over to the microsite that Brittany Ferry has created. 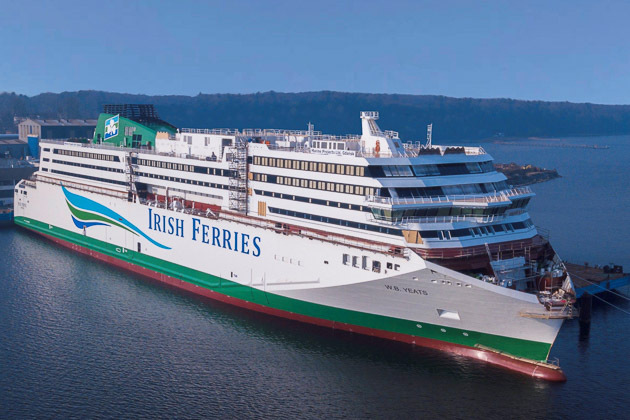 According to a CLIA (Cruise Lines International Association) survey, 83% of all CLIA member newbuilds will be fitted with sewage treatment systems meeting the highest standards under MEPC.227 (64) Section 4.2 for operation in MARPOL Annex IV Special Areas. At the present time, only the Baltic Sea is a special area according to MARPOL Annex IV. 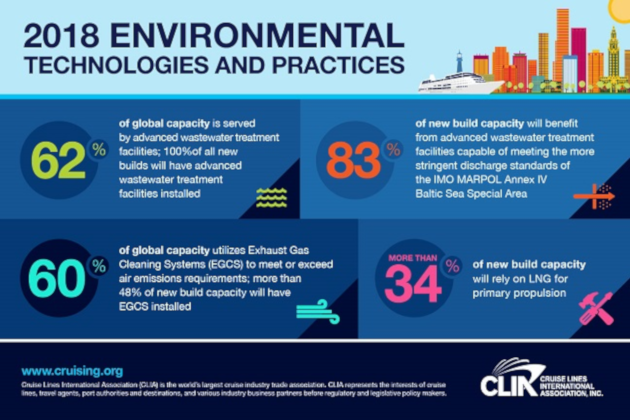 The fact that the vast majority of newbuilds are equipped with sewage treatment systems of this category shows the growing efforts of the cruise industry to reduce their negative impact on the environment. HAMANN AG offers solutions for cruise ships of all sizes, from the stand-alone retrofit plant to complete sewage systems. All systems are based onour HL-CONT Plus OceanCruise sewage treatment plants certified to IMO MEPC.227. (64) Section 4.2. for all areas of operation including the Baltic Sea and Alaska. These systems combine HAMANN’s proven Dissolved Air Flotation technology (DAF) with Moving Bed Bioreactors (MBBR). 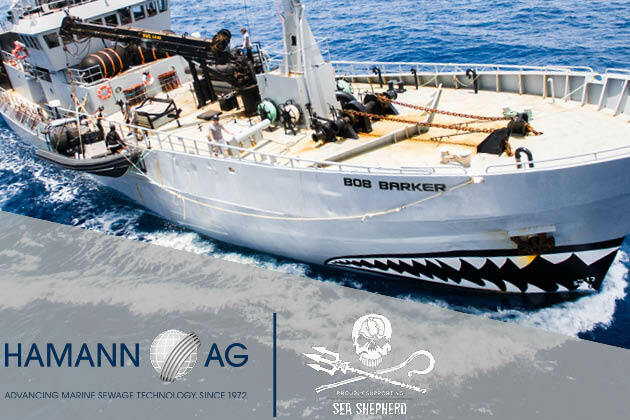 HAMANN AG has donated a HL-CONT Plus sewage treatment plant to the Sea Shepherd Conservation Society in support of their efforts to protect our marine environment. The plant has been installed on MY Bob Barker, a former whale catcher built in Norway. It’s trade show season and we are heading from Fort Lauderdale straight to Amsterdam, where METSTRADE opens its doors from November 13 to 15, 2018. 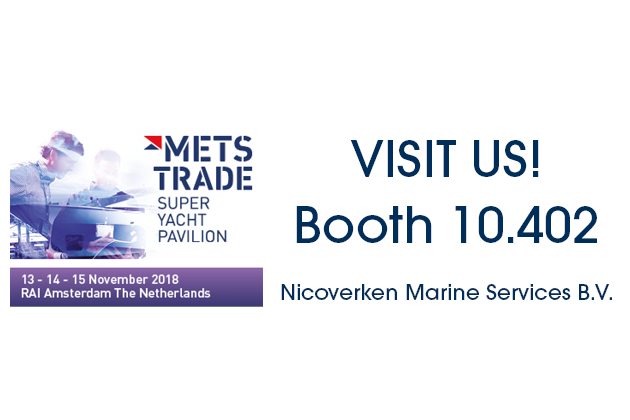 We are exhibiting alongside our long standing partners NICOVERKEN in the Superyacht Pavilion at booth 10.402. The HAMANN team will be happy to answer your questions about sewage treatment, current regulations and the HAMANN service portfolio. We and our partners are looking forward to your visit!